. 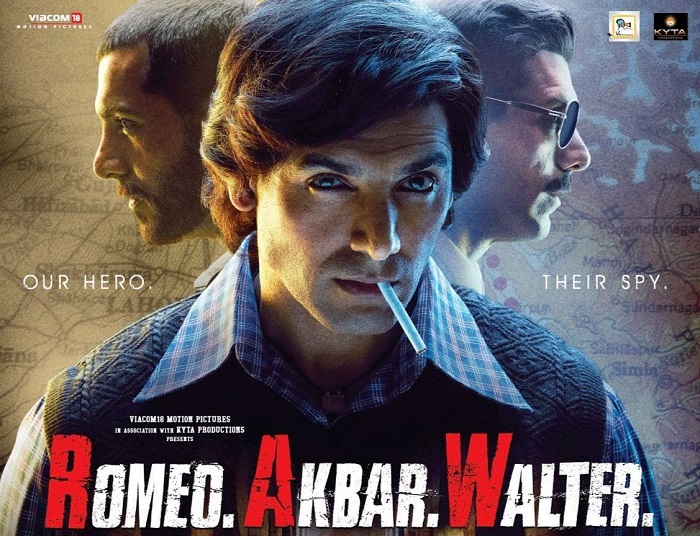 Romeo Akbar Walter follows spy clichés dutifully and drowns us in minutiae, . It’s a film,spies at the qawwali are played by John Abraham and Mouni Roy. Abraham, possibly a shark at poker, uses expressions sparingly, as if afraid to run out of a restricted repertoire. We meet him as Romeo, a young-ish man with Arjun Rampal hair and a pockmarked face, rougher than we’re used to seeing him, but the flatness of tone and performance remain steadfast. Alas, blankness and inscrutability are not the same, and, given that the film is set in Pakistan, the stiff actor threatens to blend into the traditionally wood-panelled walls. Set in 1971, there’s interesting ground: the Indian army training rebels in East Pakistan, Indian intelligence trying to outwit the Pakistanis via diplomatic misdirection, and Pakistani intelligence that, for once, looks efficient enough to be a threat. There is even some third-act skulduggery that could have been clever. Unfortunately, the film drags on for too long, and — despite RAW chief Jackie Shroff insisting “Nothing will be told to you directly” — every little bit is tediously spelt out.